Glenn Irwin pips Alastair Seeley in qualifying for the Superbike class at the NW200. Irwin won a thrilling duel against fellow Carrickfergus man Seeley at last year's North West and we could be in for more drama in Saturday's two Superbike contests. Dean Harrison was second-fastest in practice, followed by Michael Dunlop and Seeley. The Superbike session is held up because of an oil spill on the course. Alastair Seeley grabs another pole position - this time in the Supersport class. The Sports are the opening race on Thursday evening and they also open proceedings for main race day on Saturday. Road racing fans are enjoying the weather as well as watching high-speed practice rounds here. Tonight, thousands will be taking up vantage points around the 8.9-mile circuit for the opening three races of the 2018 international road racing festival. Northern Ireland's Alastair Seeley holds the record for wins at the North West 200 - and the wee wizard from Carrickfergus is clearly hungry to add to his remarkable tally of 21 wins around the Triangle circuit. 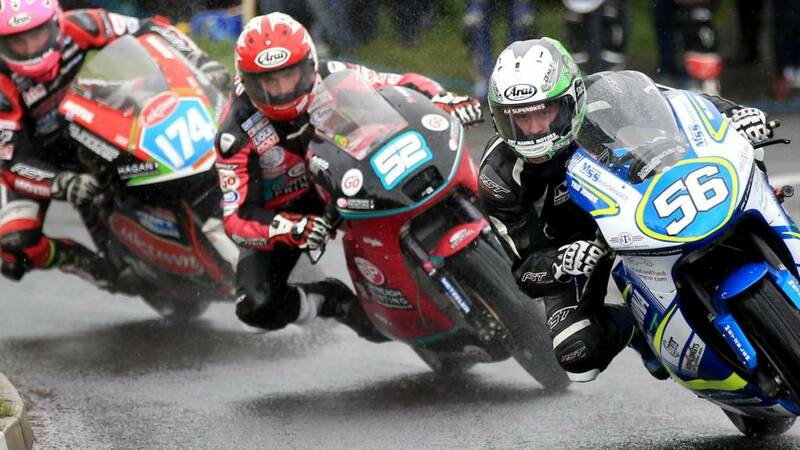 He claims pole position in the Superstock class with Yorkshire man Dean Harrison next best and Michael Dunlop third. Kawasaki rider Adam McLean is unhurt after coming off his machine during Thursday's practice for the Supertwin class. "On the last lap I was trying to put in a fast one and clipped a kerb at the chicane and down I went," said the 22-year-old from Tobermore. 09:45-18:00 BST– Connected TV and BBC Sport website and app. Last year's Supertwin winner Martin Jessopp from England secures pole position for tonight's race. Tobermore rider Adam McLean is second fastest. This part of Northern Ireland is beautiful when the weather is like this. Long may it continue.